One of the most common areas to get cavities is inside of the deep grooves and pits of your back teeth (molars.) Children are especially prone to get decay on these surfaces. What if there was a way that we could help your child prevent cavities before they start? There is…it’s the dental sealant! Sealants are protective, plastic-like coatings that are applied over hard-to-clean areas. This makes them easier to brush and prevents bacteria or acids from hiding inside of the tooth’s rough surface. Although they are not permanent, most sealants can last for several years. Their lifespan is typically enough to help your child keep their teeth healthy until they are mature and have the necessary dexterity for keeping their smile clean. 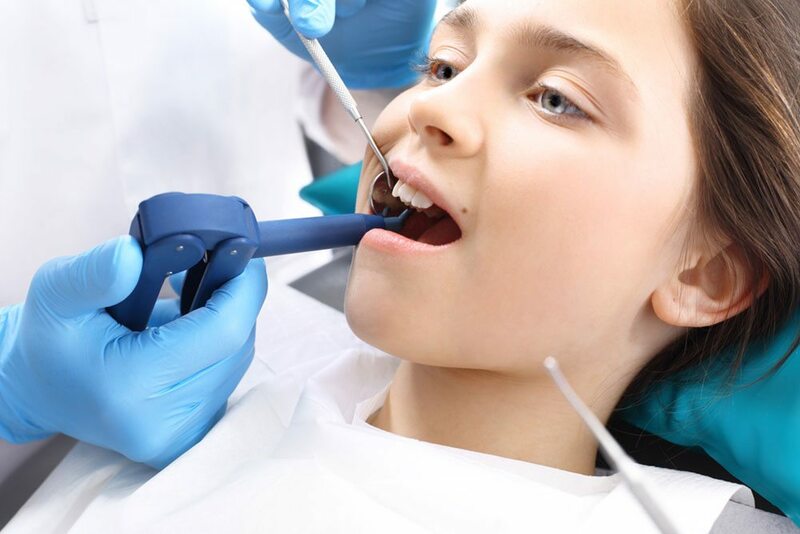 Unlike fillings, sealants do not require any numbing to apply. No drilling is necessary either! The tooth is isolated, conditioned, rinsed, and thoroughly dried. Next, the sealant material is brushed onto the grooved surfaces and a bright light cures it into place. That’s it! Yes. Sealants are not permanent. Eating sticky foods such as caramels or taffy can pull the protective coating off of the teeth. If you happen to notice a small piece of white or clear-looking material, it is likely that the sealant has been pulled off. Fortunately, they are very easy to re-apply. When Should My Child Have Her Teeth Sealed? Sealants are most effective when we place them over permanent molars as soon as they erupt. These teeth generally come in around the ages of 6 and then 12, give or take a year or two. Molars in particularly have several pits and grooves, along with being hard to reach for young children to keep clean. However, cavity-prone adults can benefit from sealants as well.